March 04, 2019 Rose Hollo based on a presentation by Dr. J. Lyons-Weiler PhD. Rose Hollo based on a presentation by Dr. J. Lyons-Weiler PhD. Thanks to Deep Roots Wellness, "A Holistic Approach to Mental Health" for underwriting the Thrive Tribe 419 podcast so that we may remain a FREE educational service to Northwest Ohio and beyond. And, most of all, thanks to YOU (our listener) for tuning in! We believe YOU hold the power to achieving ultimate wellness and we're here to support you in your journey. This podcast is never intended to diagnose or treat any health problem. Please seek out a professional if you need one. Have you ever felt like your healthcare provider was trying to put a bandaid on your mental health issues, rather than trying to help you resolve them for good? Nobody wants to be in counseling or on medication for the rest of their lives. Ancient wisdom coupled with cutting-edge research is showing us there is hope, and we want to share this information with the world. This course gives you a chance to learn the basics of "lifestyle medicine" to support healing. If you are interested in being a part of our first class, we are taking applications now! Please email DeepRootsHelp@gmail.com and tell us why you'd like to participate. Launch date and details will be announced in a private email to our applicants. This episode is based on the Health Directions Series "Avoiding Metal Toxicity in the Age of Aluminum" presented by the Ohio Advocates for Medical Freedom in conjunction with IPAK and Health Freedom Ohio. The keynote was given on Dr. James Lyons-Weiler, PhD and this episode is based on the notes and interpretations made by the podcast host based on Dr. Lyons-Weiler's presentation and the informational sheets provided. 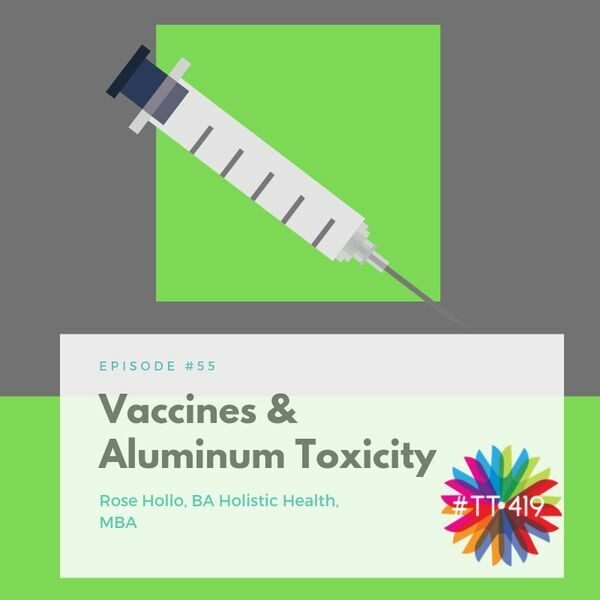 This episode offers information about aluminum exposure/metabolism in foods vs. injections, genetic variables and epigenetic effects of environmental exposure, pathophysiological effects of aluminum exposure, increased consequences due to leaky gut, and strategies for metal detoxification. Want to advertise your wellness business on our show? If you're interested in supporting the not-for-profit efforts of this podcast through wellness business marketing opportunities, please email info@thrivetribe419.com with "Podcast Commercial" in the subject line.